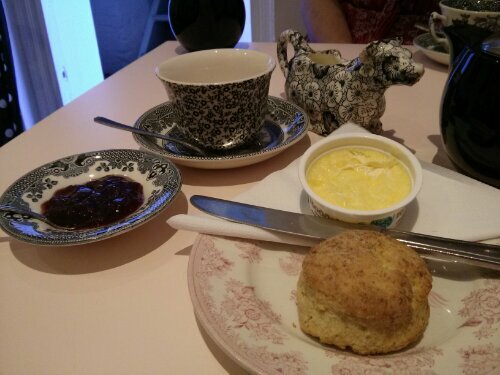 The two small plain scones here were quite ‘short’, but they were really good – so good in fact that we ordered two more! 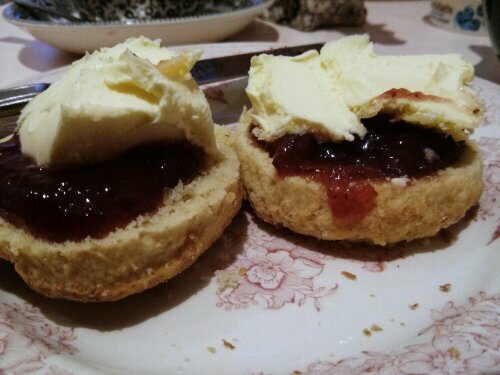 A standard Rodda’s clotted cream pot. 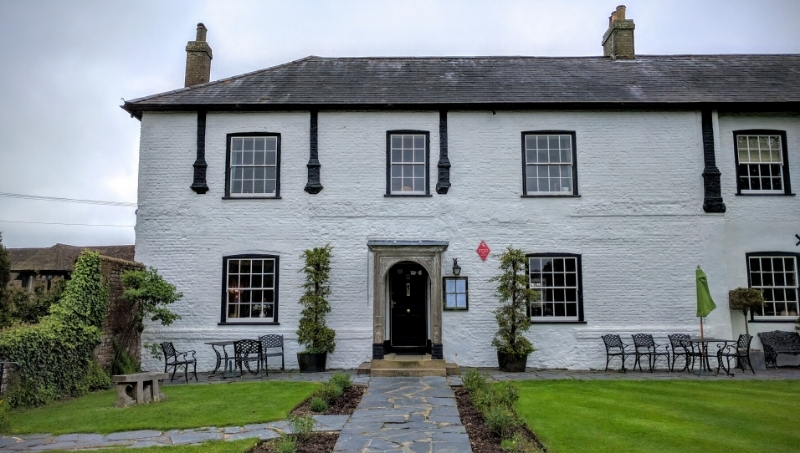 Strawberry – Good quality, but we couldn’t tell if it was home-made or not. 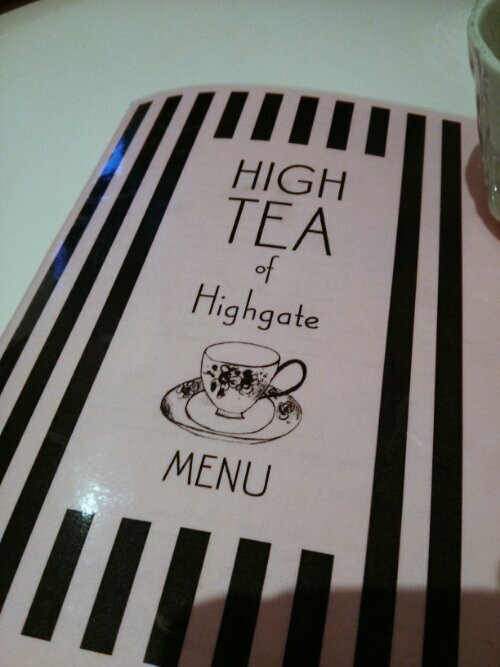 A very good choice of teas. 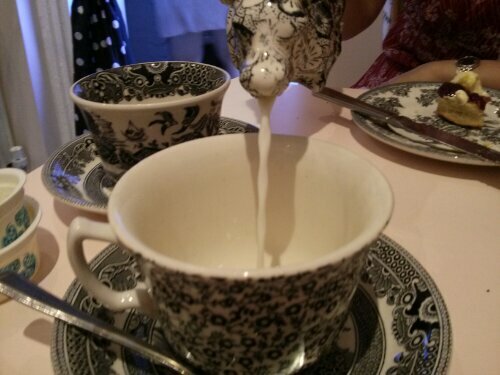 The Lapsang Souchong leaf tea was excellent. 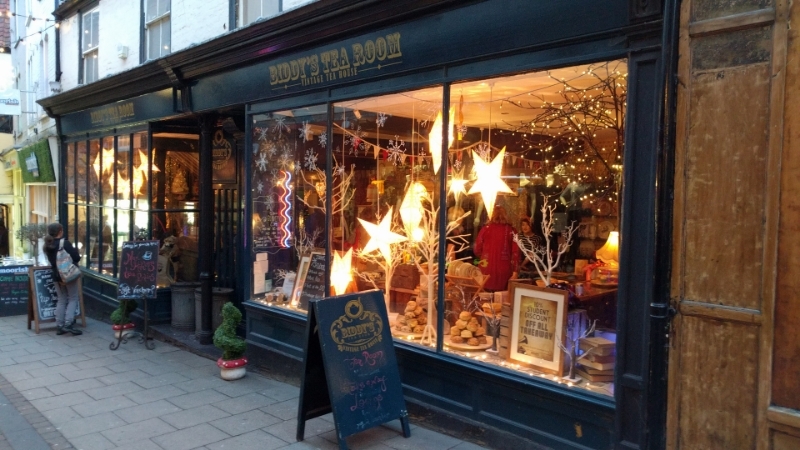 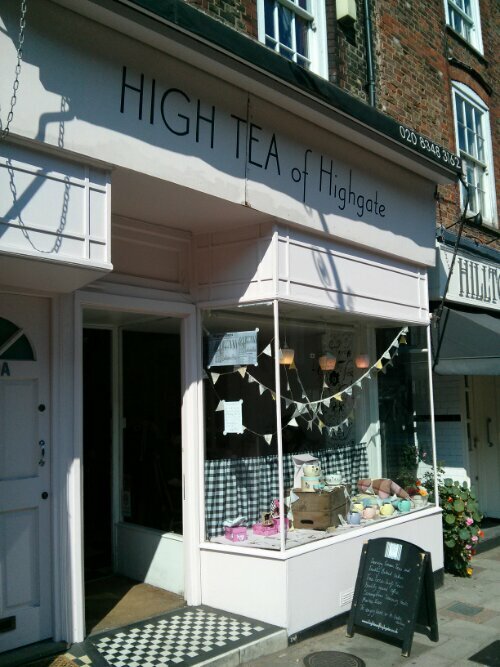 This is a proper tea & cake shop and has achieved the highest-scoring cream tea on this website to date. 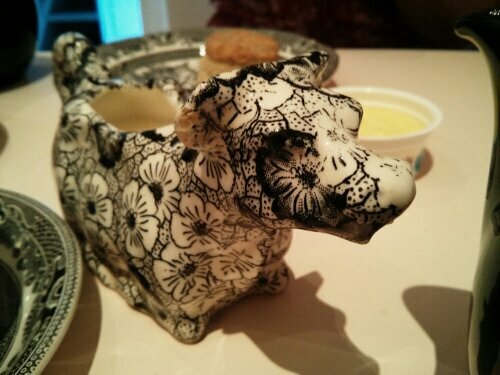 The crockery was attractive & clean and we especially liked the quirky ‘Cow’ milk jug! 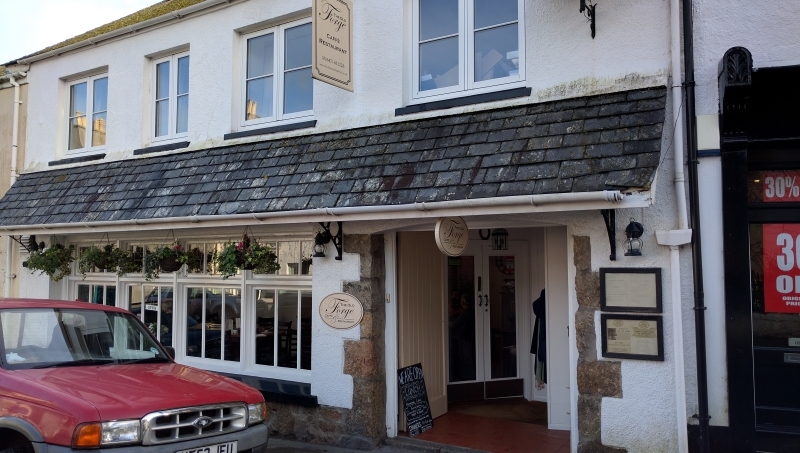 The staff were very friendly and the service was great.